Colonial Press is your one stop for all your printing and mailing needs. Everything from beginning design to a finished product can be handled by our team of experts. 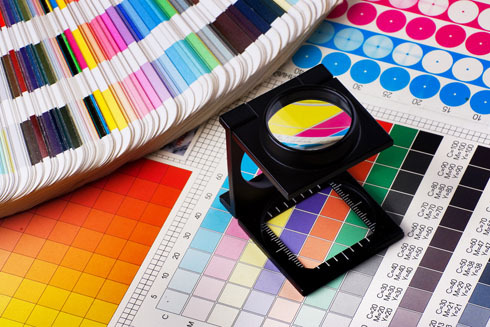 When it comes to printing quality few can match our efforts to provide the best products possible. Our talented managers and employess work hard to be the best at what they do. Need to get a rush project printed, imaged and delivered? No problem, because no job is too big. Your project is important to us, so sit back, relax and let Colonial Press take care of business for you. With direct to plate you can send us your plate ready files, either through our FTP server, email or on disk. With our high quality proofs a customer can see what their printed piece will look like once its printed. Colonial Press offers a top of the line sheetfed 6 color Komori press. This press offers the best in printing quality, along with its impressive speed, it offers a state of the art color system that guarantees any color match. Our web can print up to 6 colors and offers such services as folding inline signatures or parallel brochures, remoist glueing, microperfing and scoring all inline. 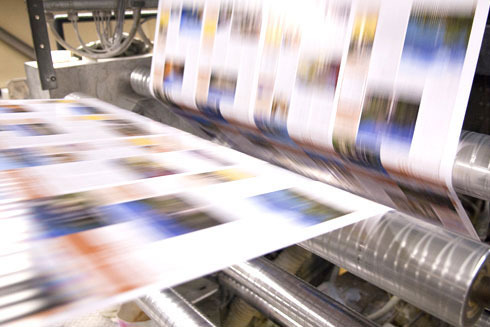 The web press can handle the largest of print runs and its speed makes it a cost effective solution. 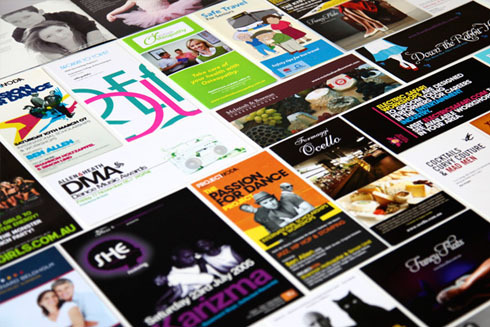 We print everything from brochures, magazines, letters, reply forms, business cards, pocket folders, posters, mailers and just about anything else. 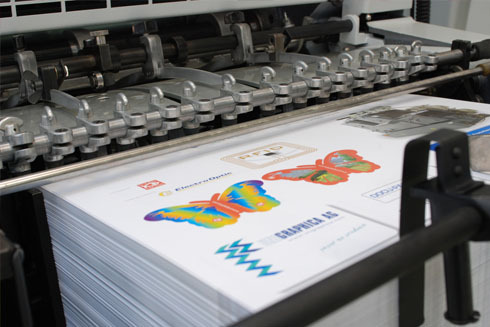 Our talented crew of pressmen ensure your project is printed right the first time. Our full service bindery department can cut, fold, drill or stitch your project. The newest addition to our bindery is a Polar high speed automatic cutting system, that saves time and money. We have the ability to saddle stitch up to around 96 pages plus a cover. It has six pockets to pre-gather signatures with an inline stitcher head and knife trimmer. Colonial can package your product by boxing, skid packing, shrinkwrapping or by banding. 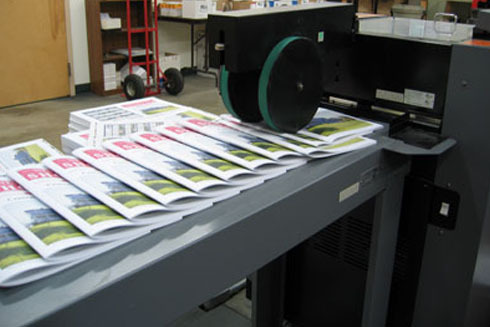 Colonial Press has the ability to inkjet names and address on brochures, mailers, magazines or booklets. Our processing department can take your data file and run it through our mailing software, it then checks the data and certifies it ready to mail. The high speed imagers are capable of imaging over coating such as aqueous, which saves money on press by not having to cut out a blanket for the image area.